I am an architect and this is my blog about architecture, interior design, lifestyle & photography. 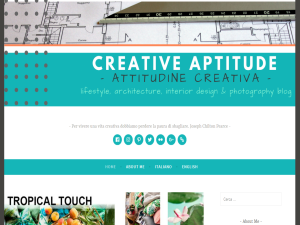 This what your Creative Aptitude ~ Attitudine Creativa Blog Ad will look like to visitors! Of course you will want to use keywords and ad targeting to get the most out of your ad campaign! So purchase an ad space today before there all gone! 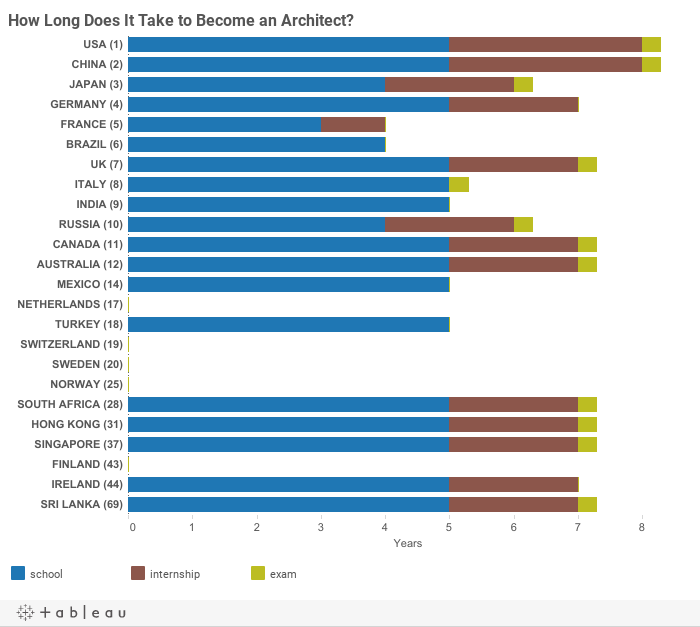 How to become an architect in Italy? In order to work in the profession and get title of architect, planner, landscape architect and conservator, corresponding to the laurea title existing legislation requires laureates to pass a state professional examination for the purposes of registering to practice (bachelor degree = junior architects, and master degree = senior architects). This examination can immediately follow academic qualification. To sit State Professional Examination you must submit an application form at the university of your choice within the time frame and using the procedures shown noting that application deadlines and exam dates are the same across the whole country. You can submit applications to only one university. There are two exam sessions, one in spring and one in autumn. The State Exam now comprends four tests (three written and one oral). It was one written and one oral tests when I did it. The writing test was basically a concept design. You could choose between urban planning, renovation, architectural design. You had 8 hours to set your idea, with skatches and everything. I remember I chose urban planning (not because I like it, just because it was the easier) I had to design a sporting area with tennis, football, basketball along with changing rooms, parkings and everyting. The renovation topic was about the conversion into apartaments of an old schools building, while the architectural design topic was to design a loft of 60 square meters for an artist. The oral test is very general, they can ask you almost anything, from local laws to how to make stucco and comment big architectures. I remember they ask me also to explain why (or why not) I like one of the latest Herzog de Meuron building. This is how to become an architect in Italy. L'articolo How to Become a Licensed Architect in Italy proviene da CREATIVE APTITUDE - attitudine creativa -. Today’s post is the 30th post of the series called #ArchiTalks. This month’s theme: “Ugly”. Topic Lead: Jeremiah Russell. This month’s topic is awesome. We could talk for years about “ugly” and “the idea of ugliness” in architecture! But what exactly makes a building ugly? In the history the thought of beauty has always been construed as aesthetic value. According to aesthetic theories, beautiful is what gives rise to the feeling of pleasure within us. The anesthetic value of things is measured in terms of the feeling of pleasure they occasion in us. On the opposite, Ugliness is correlated to the feeling of displeasure, and therefore associated with aesthetic disvalue and worthlessness. Simplifying “ugly” is the opposite of “beauty”. I think the definition of “ugly” goes a little bit farther than just pleasure visual perception. Building that is either out of context or ignores context, it could be the most beautifully and well made building, it could perfectly suit all the aesthetic canons but it is ugly to me. If there is no connection between inside and outside. Both the indoor spaces and the look of the facades are important. Buildings that have interesting and beautiful facades and volumes, but lack of comfortable indoors (in term of poor designs, poor details and materials, amount of natural lighting, indoor air quality and acoustic, etc) is ugly to me. 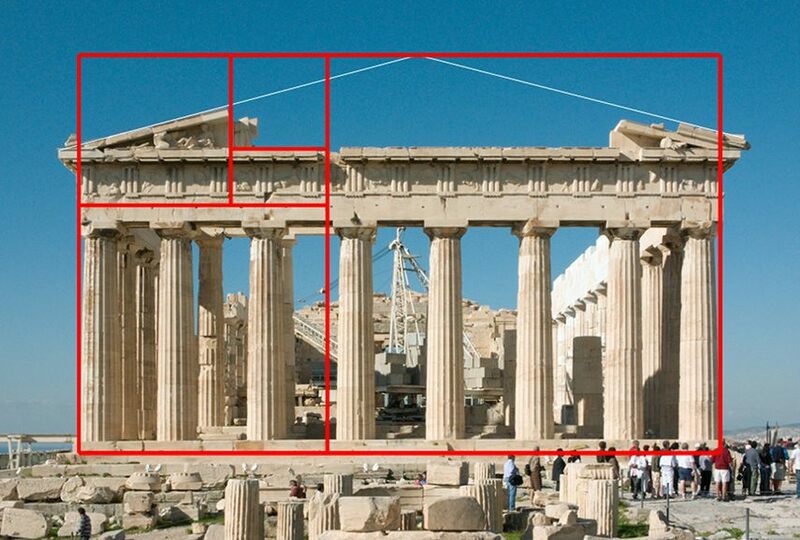 Building that spatially does not suit the needs of its functions, same as above. A building always has a function that goes beyond mere aesthetics. Either incompetence or a lack of care is evident. Lots of interesting buildings are ruined by a lack of care over how they are made and made to last. It could be the most interesting building (in terms of forms, volumes, balance between full and empty spaces, lights and shadows) but if it’s all made out of poor details, cheap elements and materials that will look like trash in a few years it is ugly to me. Lou Ruvo Center for Brain Health, Las Vegas. Speaking a bit about restoration (we did a lot of restoration here). An ugly restoration ignores context (in this case the building itself is the context). The point is to not let the old bits fade away, but makes the old stand out, by making the original clear and separate from the new. Redoing original making indistinguishable what is new and what is old is ugly. Pretending is ugly. On the other hand to not pay attention and respect to the original (by using not contextualized material for example) makes “ugly” designs as well. You can find a complete list of everyone participating in this month’s #ArchiTalks below. Follow the links and read to see all the different interpretations of this topic. L'articolo ArchiTalks #30: Ugly proviene da CREATIVE APTITUDE - attitudine creativa -. L'articolo There is no moonlighting. It’s a jungle! proviene da CREATIVE APTITUDE - attitudine creativa -. Today’s post is the 27th post in a group series called #ArchiTalks (leads by Bob Borson) in which a group of us architects write about the same topic on the same day and share each other’s posts. This month’s theme is “Mentorship”. Topic lead by Michael La Valley. This is the first #ArchiTalks’ post that I write and, first of all, I want to say that I’m glad to be part of this. Historically, young aspiring architects worked in the atelier of an experienced architect, learning by doing. Each architect-builder selected a bright young man as apprentice. Over the years, working together, the apprentice would learn all the master had to share. He might even surpass him. When I graduated with my Master Degree in Architecture in 2005, I would had liked to apply for the Leonardo Da Vinci. For those who don’t know it’s a UE’s project for international workplacements designed for recent graduates, who want to develop a working experience abroad in a professional context for a limited period of time. The aim of the project is to encourage young who look for employment opportunities and increasing the mobility of workers across Europe. The focus lies on offering qualified support through a dedicated mentoring network to recent graduates who are approaching to work. It’s a way to advising and training young architect with less experiences to help them develop in their work. If you apply for the project, and you are selected, UE gives you a grant as a contribution to travel and subsistence costs but obviously that’s not enough. So first I needed money to start this my new-life-plan, therefore I looked for work and my life as an architect began. Although I have never joined any official mentoring program, I believe that all of us, in our lives have, or have had, a guide. It could be a parent, a relative, a class-teacher, a friend or a senior person in your workplace. We all have people who help us to reach our goals, a lots of mentors, not just one. In fact, the mentorship relationships are often informal and casual. There is always something to learn from someone if you are willing to learn. No matter what level of skill you start at, you always need help and advice along the way. I have had lots of mentors throughout my young career. I started working – for free – in an architecture studio when I was at the High School, during the Summer breaks. Even though I was only a teenager – who basically only draw and did copies – I had the chance to see “how thing works”. I also had a work experience at the local Ufficio Lavori Pubblici (Office of Public Works) where the architect in charge brought me into construction sites with him. When I started studying buildings design at the High School – in the ’90s – Designing projects using drafting tables still was the normality. Rapidographs, tracing paper and razor blades were our best friends! Just a few used Autocad. I remember that there was an optional course for those students who wanted to learn the computer aided design. When I was studying at the University only students drew boards by hand, and because they MUST learn drawing, but nobody used drafting tables anymore. Architects still sketching a lot, of course, so we need tracing paper and pen yet… but Autocad, Plotters, Photoshop, 3D Studio Max were “the architect’s tools”. Now the preparation of design drawings has been revolutionised again by the emergence of BIM. Having mentors to learn from is important to profession development. Senior and young architects both need each other, they have to learn from each other. Developing design projects, we create the right context for an exchange of abilities between different generations. Our profession is dynamic, the technology and the tools we use are in changing and all is recognizably different from years ago. L'articolo Mentorship proviene da CREATIVE APTITUDE - attitudine creativa -. With the approaching Summer revitalize your home with a tropical touch! This is the message that H&M wants to spread. Pink pastel and fuchsia, emerald green and sage green, blue and yellow lemon. Pastel tones combined with bright colors and large tropical inspired prints. These are the ingredients of the collection proposed by H&M. L'articolo Tropical Eclectic Style. The new H&M Home collection. proviene da CREATIVE APTITUDE - attitudine creativa -. L'articolo Urban Jungle interiors trend: how to decorate in this style proviene da CREATIVE APTITUDE - attitudine creativa -. If you are the owner of Creative Aptitude ~ Attitudine Creativa, or someone who enjoys this blog why not upgrade it to a Featured Listing or Permanent Listing?